If you or a loved one have been accused of a drug-related crime in Hamilton, Trenton, Ewing, Robbinsville, or anywhere else in NJ, a reputable and skilled Hamilton drug crimes attorney is a necessity, regardless of the level of offense. All types of drug crimes are taken extremely seriously in the New Jersey criminal justice system, and it is important to understand that a conviction can impact your life in potentially unanticipated ways. The consequences of a conviction can be severe, expensive, and long-lasting, making an attorney who has specialized in this area of the law a valuable and necessary asset in protecting your freedom and future. My past experience working as a legal intern in the Mercer County Prosecutor’s Office has provided me with valuable insight into the inner workings of the prosecution, including insight into potential tactics that the prosecutor may use as the case proceeds through its various stages to trial. 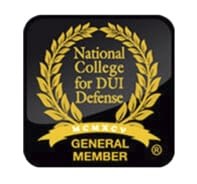 I will use my knowledge and commitment as a criminal defense attorney to craft a strong, tactical defense in response to the evidence gathered by the prosecution. 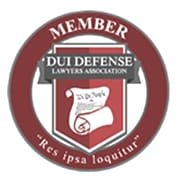 Regardless of whether you have been accused of possession of marijuana, cocaine, prescription drugs, or merely drug paraphernalia, contacting a veteran NJ drug crime defense attorney as early as possible in the legal process is crucial to building a strong defense. When you are facing conviction for a New Jersey drug crime, you do not have the luxury of retaining an attorney who lacks criminal defense experience. 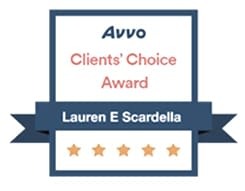 At the Law Offices of Lauren E. Scardella, I have a perfect 10 AVVO rating for exceptional legal services, and I will put my skills to work for you today in your NJ drug crime case. My goal in all drug offense cases is to have the charges reduced or dropped before ever proceeding to trial. If necessary, however, I stand ready and willing to present a strong defense and aggressively challenge the prosecution’s case at trial. I conduct a detailed analysis of the prosecution’s evidence and the circumstances surrounding the accused individual’s arrest in each case involving a drug crime. This analysis will determine how I will proceed to build the strongest possible defense. In some cases, I will work to negotiate a plea bargain with the prosecution for a reduced sentence or probation. Typically, punishment in a drug crime case will depend upon the type of controlled dangerous substance (CDS) involved, the amount of substance involved, and the type of action that the individual is accused of committing. These actions can include possession, distribution, trafficking, conspiracy, and manufacturing of drugs, among others. The judge in your drug crime case may also agree to a conditional discharge under N.J.S.A. 2C:36A-1, which can allow the accused individual to avoid jail time in certain less serious cases and instead serve a probationary sentence. Avoiding drug use and arrest are typically conditions of this probationary sentence. If all conditions are satisfied, it may lead to dropped charges and expungement. When you retain my services, you do not have to worry about your case being handed off to a junior or rookie attorney who may not have the experience necessary to craft the best possible defense strategy given the facts of your case. I personally handle each and every one of my cases through all stages as they proceed to trial, guaranteeing that you have an expert as your advocate every step of the way. It is important not to wait to schedule your consultation with an attorney to discuss your drug crime charges. 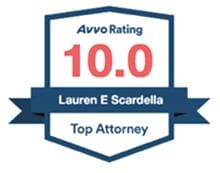 Contact the Law Offices of Lauren E. Scardella in Hamilton, NJ at 609-587-1144 to schedule a free initial consultation. I am always available to take your call. You can also fill out this online form, and I will respond promptly. The law firm office is located at 2653 Nottingham Way STE 1, Hamilton Township, NJ 08619. Can first-time drug crime offenders avoid prosecution in New Jersey? For first offenders in New Jersey drug crime cases, I may advocate for pre-trial intervention (PTI) under N.J.S.A. 2C:43-12 in appropriate cases. PTI provides a way to avoid trial and instead allow you to complete court-supervised rehabilitation as an alternative. While PTI can last anywhere from one to three years, successful completion of PTI can result in the drug crime charges being dismissed entirely from the accused individual’s record. What are the penalties for drug crimes in New Jersey? The penalty for a drug crime in New Jersey will depend upon the specific charge and circumstances, as well as the accused individual’s criminal history. Penalties can range from probation, mandatory substance abuse counseling, drug testing, and suspended driver’s license to monetary penalties of thousands of dollars and significant jail time or prison time. The wide range of penalties, coupled with the potential severity of these penalties, makes it critical to retain an experienced NJ drug crime attorney as soon as you are arrested or learn that there may be a warrant out for your arrest.